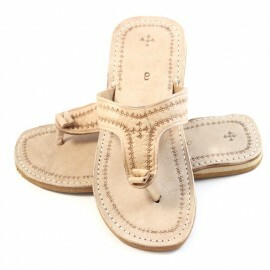 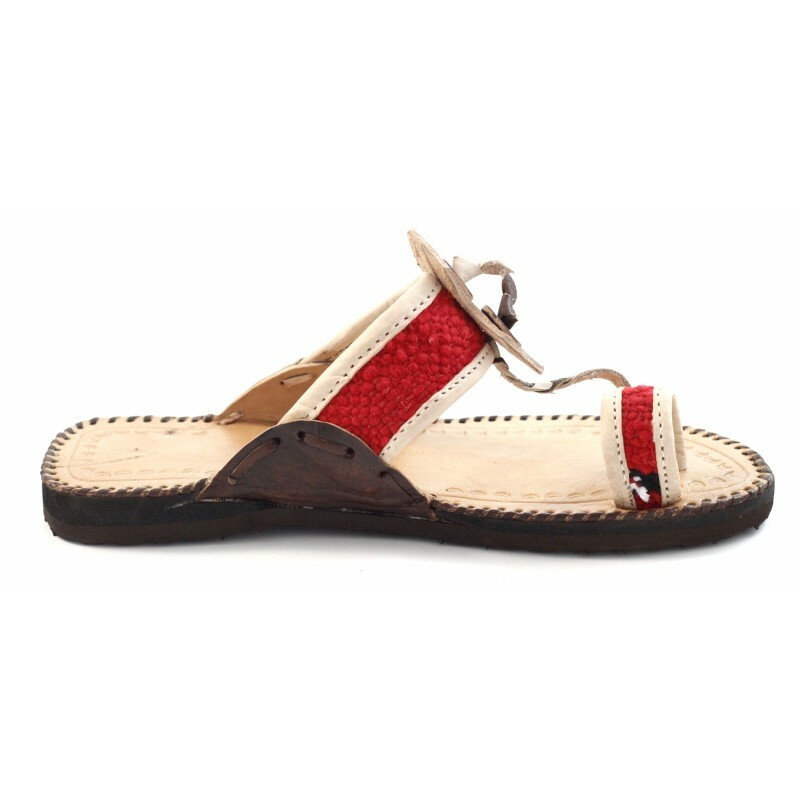 For those beautiful summer days, these light and elegant sandals will accompany you everywhere. 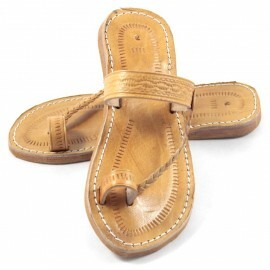 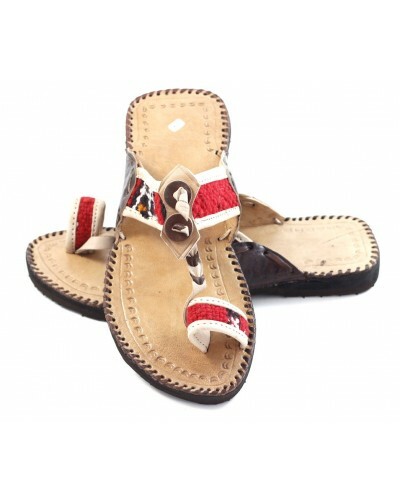 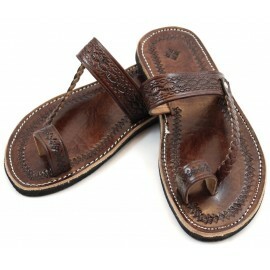 Hand-made by artisans in Marrakesh, they're made entirely of leather. 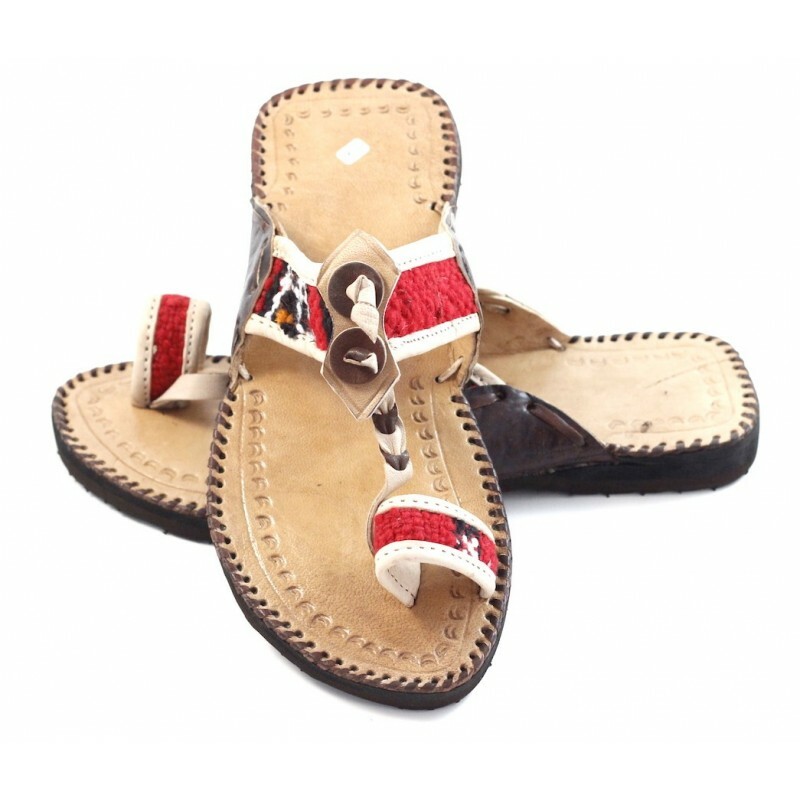 A wide, etched strap sits on the top of the foot, with a braided leather band attached to the carved-leather loop for the big toe. 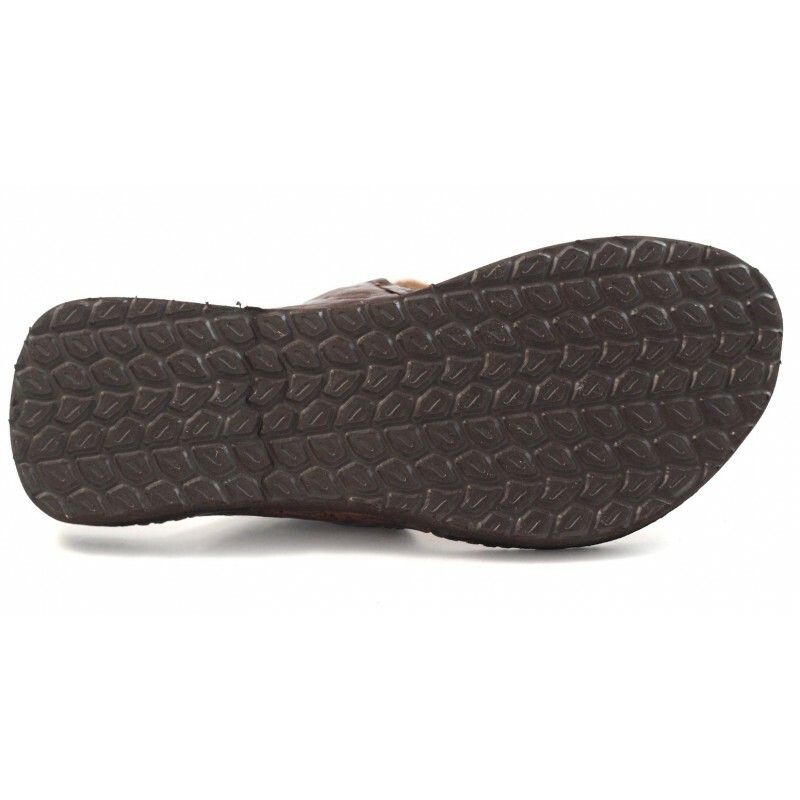 Outer sole: Durable black rubber. 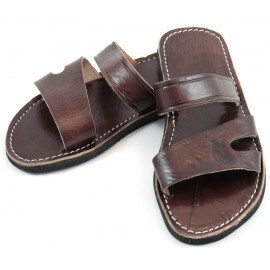 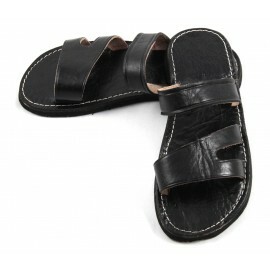 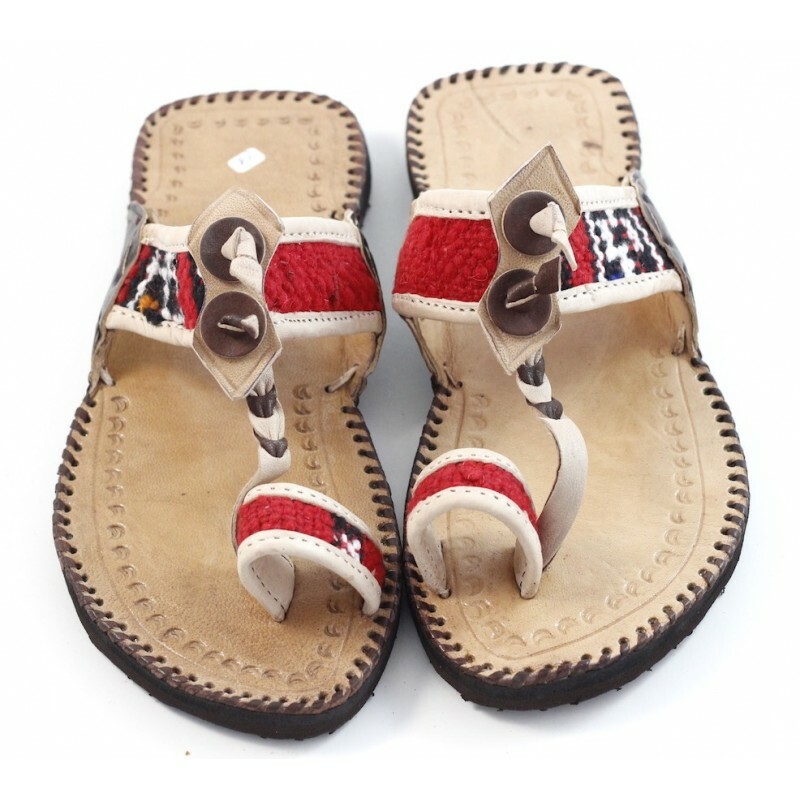 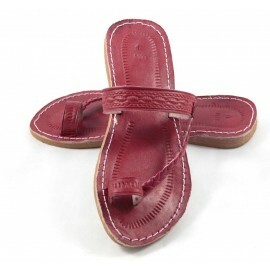 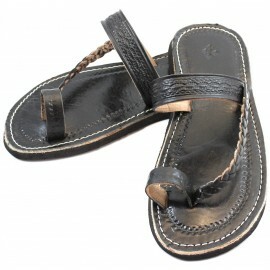 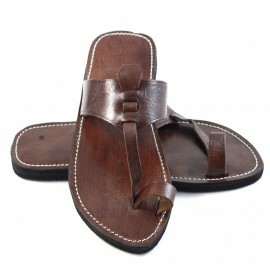 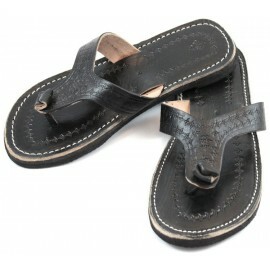 These sandals are handmade and are not the result of industrial processes. 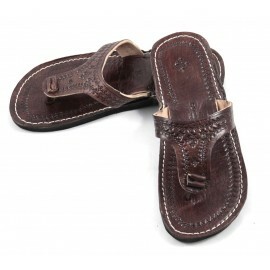 Each pair is completely unique and therefore there will be traits that are specific to them. 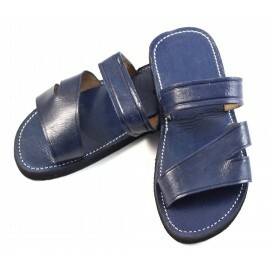 Also note that leather is a material which softens over time, so it will morph and eventually change to fit the shape of your foot perfectly.